Scripture Introduction: In the preceding portion of the Sermon on the Mount, Jesus' warns against seeking earthly riches beyond our essential needs, but in this portion of the sermon we will see how He teaches us not to worry even about the basic necessities of life. Introduction: Walter Kelly, creator of the old Pogo comic strip, once said: “When I don’t have anything to worry about, I begin to worry about that” (as cited here). Mr. Kelly illustrates well the problem that so many of us have. We just have a built in tendency to worry. 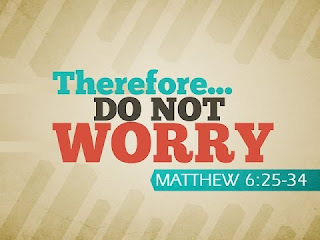 But in the passage before us today we will see that Jesus doesn't want us to worry. We will see that He 1) admonishes us against worrying, 2) asks a series of probing questions arguing against worrying, and 3) asserts our true priority that alleviates worrying. We see this in the first part of verse 25. NKJ Matthew 6:25a Therefore [διὰ τοῦτο, diá toũto, for this reason] I say to you, do not worry [μεριμνάω, merimnáō] about your life, what you will eat or what you will drink; nor about your body, what you will put on. When Jesus begins by saying therefore, or for this reason, He is indicating that the problem He has just warned us about in the preceding context (vss. 19-24), the problem of desiring the earthly riches, often begins with worry about our earthly needs. So He does not just warn us about the danger of seeking earthly riches but also about the root problem of excessive worry about our needs. For it is this worrying that so easily leads to a desire to hoard such riches. And, as we shall see, this desire for earthly things is itself a lack of faith in God. Such a lack of faith then in turn fosters the kind of self-reliance and materialistic idolatry that Jesus wants us to avoid. It is a vicious cycle that Jesus wants to end in all of us! Notice also that Jesus addresses the most basic needs that all people have – food, water, and clothing – and commands us not to worry about these things. NKJ Matthew 6:11 Give us this day our daily bread. This is one reason that the King James Version needed to be corrected in its translation of this verse, which reads, “Therefore I say unto you, 'Take no thought for your life, what ye shall eat, or what ye shall drink; nor yet for your body, what ye shall put on …'” (italics mine). The New King James Version gets it right when it translates the command as do not worry. But Jesus doesn't just give us a bare command. In order to reinforce the command and to help us see why it is so important, He offers us reasons not to worry, which leads to our next point. We shall see that, beginning in the last part of verse 25, Jesus begins to ask a series of rhetorical questions that are designed to reveal the real source of our worrying, namely a lack of faith. With these questions Jesus also appeals to logic, making arguments both from the greater to the lesser and from the lesser to the greater. First, we see that Jesus offers an argument from the greater to the lesser. NKJ Matthew 6:25b Is not life more than food and the body more than clothing? In other words, if – as Jesus assumes here – God has given us life itself and the bodies we possess, is He not also able to provide the food and clothing we need to sustain our lives and provide for our bodies? If He can do these greater things, how much more capable is He of doing these lesser things? Observe also that Jesus is stressing that true life is something more than merely this earthly life and meeting our bodily needs. He is reminding us of what He has already taught in the preceding context, that there are rewards in Heaven where we should be laying up treasures for ourselves. Second, we see that Jesus offers a series of arguments from the lesser to the greater. These arguments focus upon the way God providentially cares for His creation, doing such things as feeding the birds and adorning the flowers of the field. NKJ Matthew 6:26 Look at the birds of the air, for they neither sow nor reap nor gather into barns; yet your heavenly Father feeds them. Are you not of more value than they? I have seen this poem in several commentaries or Bible study resources, and it does reflect well the central point Jesus is making, which is that we can easily worry when we shouldn't. When we are consumed with worry, we really do act as though we have no heavenly Father to care for us, don't we? However, although birds are God's creatures and He does care for them, Jesus does not call God their heavenly Father. This is a special relationship that we have with God, which makes Jesus' point all the more clear. If we He takes care of them, surely He will take care of us, who are His children, created in His image and redeemed by Christ! NKJ 2 Thessalonians 3:10-12 For even when we were with you, we commanded you this: If anyone will not work, neither shall he eat. 11 For we hear that there are some who walk among you in a disorderly manner, not working at all, but are busybodies. 12 Now those who are such we command and exhort through our Lord Jesus Christ that they work in quietness and eat their own bread. As Thomas Constable observes concerning Jesus' teaching here, “This does not mean we can disregard work, but it does mean we should disregard worry” (Notes on Matthew, e-Sword). Jesus also seeks to highlight the ineffectiveness of worrying, as we see in His next rhetorical question. NKJ Matthew 6:27 Which of you by worrying [μεριμνάω, merimnáō] can add one cubit [πῆχυς, pḗchus, which here may refer to an hour of one's life] to his stature [ἡλικία, hēlikía, mature age, maturity]? ESV Matthew 6:27 And which of you by being anxious can add a single hour to his span of life? NAU Matthew 6:27 And who of you by being worried can add a single hour to his life? No wonder our Lord Jesus wants us not to worry. And no wonder He offers us so many arguments against it, as He continues to do with His next rhetorical questions. NKJ Matthew 6:28-30 So why do you worry [μεριμνάω, merimnáō] about clothing? Consider the lilies of the field, how they grow: they neither toil nor spin; 29 and yet I say to you that even Solomon in all his glory was not arrayed like one of these. 30 Now if God so clothes the grass of the field, which today is, and tomorrow is thrown into the oven, will He not much more clothe you, O you of little faith? In other words, if God shows such concern for the flowers of the field – which are here for a short time and used for fuel when dead and dried out – will He not also be concerned for us? The answer is that of course He will be concerned that we have clothes to wear. And if we think otherwise – which is what we demonstrate when we worry – then the real problem we have is a lack of faith. NKJ 2 Corinthians 11:28-29 ... besides the other things, what comes upon me daily: my deep concern for all the churches. 29 Who is weak, and I am not weak? Who is made to stumble, and I do not burn with indignation? So, how do we understand such passages in a unified way? Well, there are a couple of points that need to be remembered. Paul says that we will have peace when we pray without worry. So this is another way to tell the difference between a genuine concern that we that we take to God versus worry that we hang onto. Second, we must also distinguish between selfless concern for others and selfishly worrying about our own needs. And this concern for others should be a kingdom concern, which leads us to out final point. We see this in verses 31-34. Before Jesus asserts what should be our ultimate priority, He restates His command not to worry. He does this with the apparent desire to highlight that the real cure for worry is to be found not only in trusting God more fully, but also in getting our priorities straight, as He will make clear in what He goes on to say next. NKJ Matthew 6:32 For after all these things the Gentiles seek [ἐπιζητέω, epizētéō]. For your heavenly Father knows that you need all these things. Jesus is making two points in this verse. NKJ Matthew 13:22 Now he who received seed among the thorns is he who hears the word, and the cares of this world and the deceitfulness of riches choke the word, and he becomes unfruitful. Second, when we worry as the heathen do, we are acting as though our heavenly Father does not really know or understand our needs. 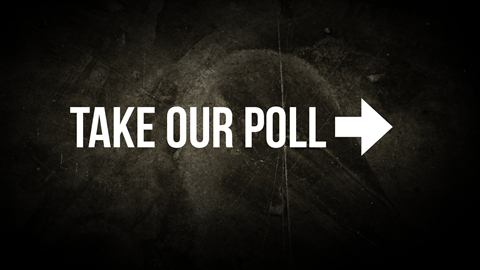 So again we see lack of faith as a primary issue. But we will never have a stronger faith until we have the right priorities, as Jesus makes clear in what He says next. NKJ Matthew 6:33 But seek [ζητέω, zētéō] first the kingdom of God and His righteousness, and all these things shall be added to you. This means we must make the proclamation of the Gospel a first priority in our lives, doesn't it? And it also means that we must pray for the kingdom to come more fully now and ultimately in the future, as Jesus taught us to pray earlier in the Sermon on the Mount when said, “In this manner, therefore, pray: Our Father in heaven, Hallowed be Your name. Your kingdom come. Your will be done On earth as it is in heaven” (Matt. 6:9-10, italics mine). NKJ Matthew 5:10 Blessed are those who are persecuted for righteousness' sake, for theirs is the kingdom of heaven. NKJ Matthew 5:16 Let your light so shine before men, that they may see your good works [which would be righteous works] and glorify your Father in heaven. If we are thus seeking the kingdom of God and His righteousness first, then we will find that His concerns begin to outweigh our concerns. We begin to find that our faith becomes stronger as we prayerfully depend upon Him to work in and through us. And we begin to find that we have less and less reason to worry about the future as well, something which Jesus addresses yet again in what He says next. NKJ Matthew 6:34 Therefore [οὖν, oún, so, hence] do not worry [μεριμνάω, merimnáō] about tomorrow, for tomorrow will worry [μεριμνάω, merimnáō] about its own things. Sufficient for the day is its own trouble. We do not need to worry about tomorrow when we trust God with each day. But Jesus ends this part of His teaching with an added reminder that each day will bring trouble of its own. Why, then, would we want to bring tomorrow's trouble into today and deal with it twice?! As George MacDonald has pointed out, “No man ever sank under the burden of the day. It is when tomorrow's burden is added to the burden of today, that the weight is more than a man can bear” (as cited by Kent Hughes, The Sermon on the Mount, p. 224). Conclusion: Thus we come to the end of Jesus' admonitions not to worry, and I hope that those of us who trust in Him as Lord and Savior will leave here today encouraged to trust Him more and more each day, making His priorities our own and learning not to worry because we know our lives are in His loving hands. Each of these Journey titles is listed at the reduced price of only $5.00, but Dennis Gundersen of Grace and Truth Books has told me that if people will phone him, referencing the Reformed Baptist Blog, he will give them an even better deal. After visiting the website, just call the store phone at 918-245-1500 to place your order. You may also want to check out the many other good prices available on the many good books on the website. Augustus Hopkins Strong was born in Rochester, NY on August 3, 1836. He was brought to Christ while attending Yale College, from which he graduated in 1857. He began his theological studies at Rochester Theological Seminary and completed his D.D. in Germany. After serving Baptist churches in Haverhill, Massachusetts, and Cleveland, Strong was elected president of Rochester Theological Seminary in 1872. 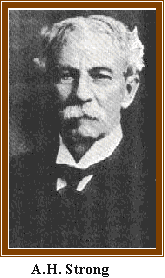 He was an active promoter of Baptist missions throughout his life, and from 1907 to 1910 he served as the first president of the Northern Baptist Convention (now the American Baptist Churches in the U.S.A.). In his forty years at Rochester Seminary Strong taught a theology that combined traditional Reformed emphases, distinctive Baptist convictions on the ordinances and the organization of churches, and a relative openness to modern ideas. He published his multivolume Systematic Theology in 1886. This influential work was revised several times by Strong himself and continues in print to this day. Although Strong was consistently orthodox, he did use the results of modem critical scholarship more than, for example, his near Presbyterian contemporary Charles Hodge. Also, unlike Hodge, Strong was comfortable with the idea that God may have created the world through the processes of evolution. In the 1907 edition of his theology, Strong summarized his views on modern thought: "Neither evolution nor the higher criticism has any terrors to one who regards them as part of Christ's creating and education process." Yet late in his life Strong spoke out strongly against those who used modem thought to compromise belief in Christ's divinity or his saving work. In the 1907 revision, Strong proposed the counter to modernism that he maintained until he died: Christ as "the one and only Revealer of God, in nature, in humanity, in history, in science, in Scripture." Although, sadly, Strong never abandoned his Theistic Evolution, he is definitely worth checking out. Just keep a discerning eye as you read him. At many points, he reads like a Baptist version of Charles Hodge, but at other points, as the above description maintains, he goes too far into modern critical thinking. For those who use e-Sword, his Systematic Theology is also available for free as an e-Sword module here. 27% say that one must adhere at a minimum to a Calvinistic soteriology and to Covenant Theology in order to be regarded a Reformed Baptist. 41% say that one must adhere substantially to the Baptist Confession of 1689 (e.g. modify regarding Impassibility) in order to be regarded a Reformed Baptist. 19% say that one must adhere strictly to the Baptist Confession of 1689 in order to be regarded a Reformed Baptist. 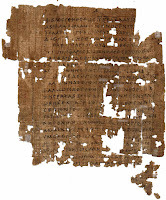 Early Bible is dedicated to displaying the oldest known copies of the New Testament. We hope you find these images interesting and helpful in understanding the rich history of the Bible's origins. Perhaps you are a scholar who has referred to these papyri for years and now you can read them first-hand. Perhaps you are a Bible student determined to see for yourself the textual variants referenced in the critical apparatus of your Greek New Testament. Or, perhaps you are someone who is just interested in seeing these ancient documents for yourself. Whatever has brought you here, we hope that this site enriches your understanding and answers any questions you have brought regarding these early copies and testaments to the faith of the early followers of Christ. 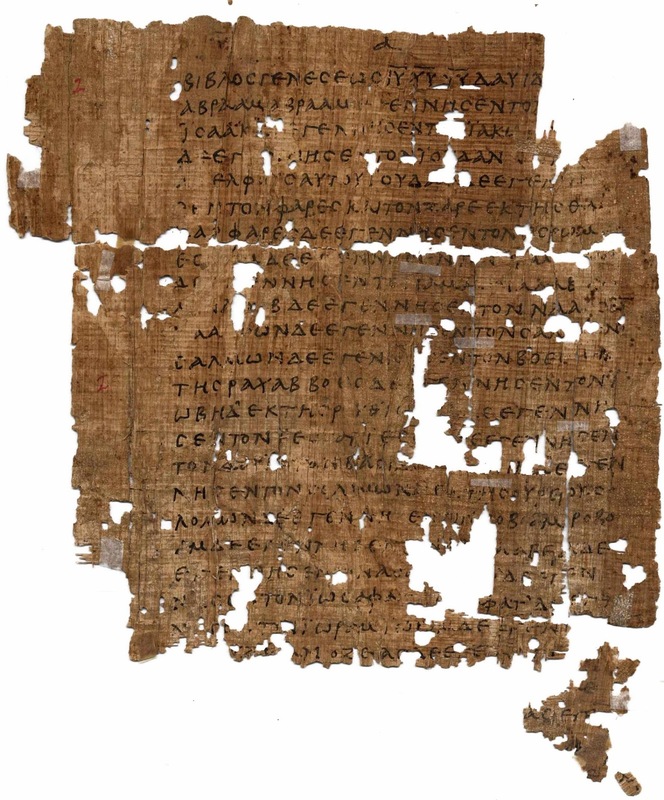 For an example, click on the picture at the right and see an old manuscript containing part of Matthew 1:1-12. Just thought some of our readers might find this interesting!